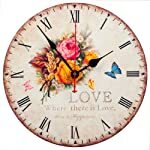 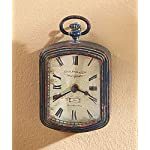 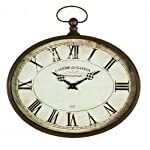 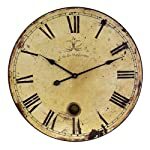 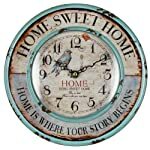 Oblong Black Decorative Clock With Over Sized Numbers And Distressed Face 20 x 27 inches New design that is sure to make an impression in any space. 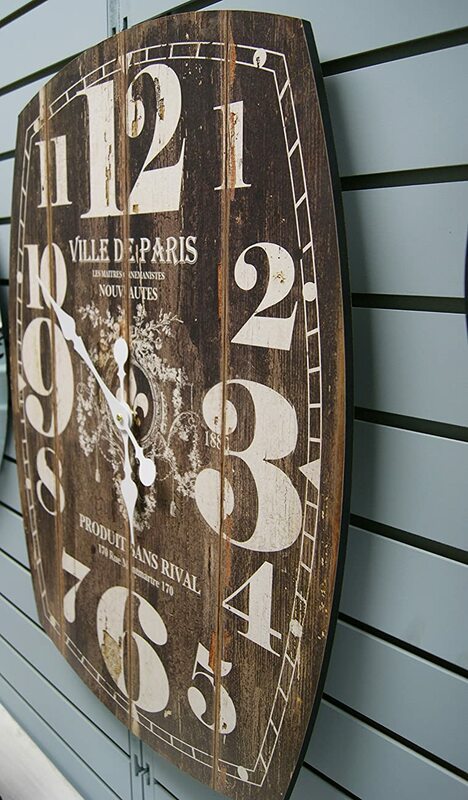 Large numbers make this clock easy to read while looking very stylish. 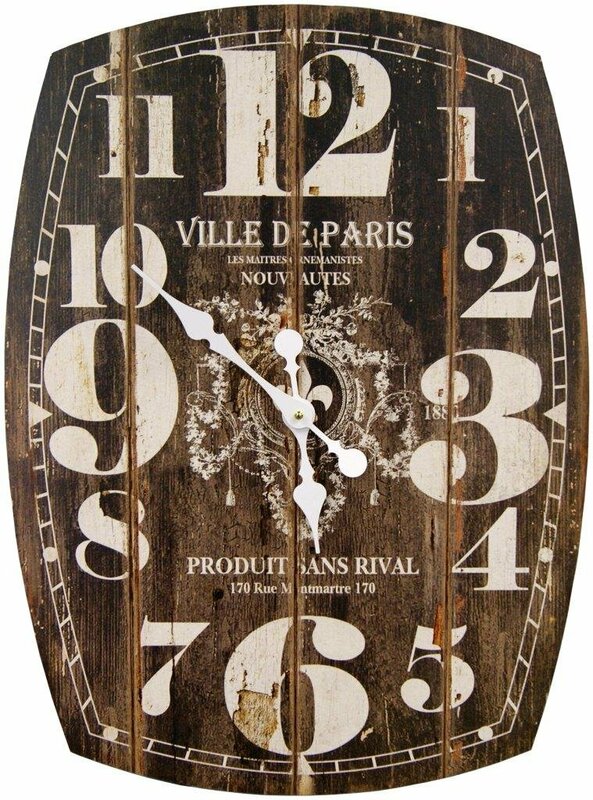 This Clock is oversized and will make a BIG statement. 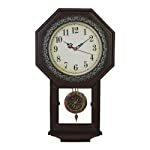 Don't be fooled by other items that look big in the photos, this is over 2 feet tall! 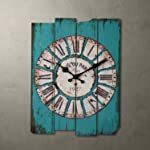 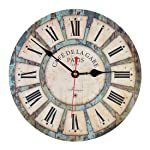 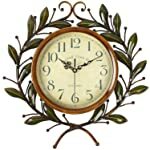 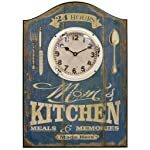 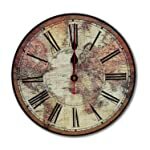 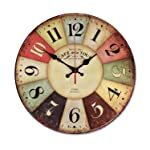 This clock is made of MDF and has a distressed look printed clock face.